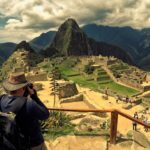 It is likely that the first thing that comes to mind when you hear about the Sacred Valley of the Incas, is Machu Picchu. This is valid to an extent, as one of the most iconic places in Peru and all of the Americas are the ruins of Machu Picchu. But the Sacred Valley has a lot more to offer. Marvel at the incredible natural, historical and cultural gems that lie in this vastly fertile region. If you want to really explore it, we recommend that you go on our TOUR through the Sacred Valley and Machu Picchu. In the Sacred Valley: you will find magical towns with beautiful colonial architecture; reflect in front of the impressively intact ruins from the Inca times; and admire the agricultural laboratories that served to experiment with numerous crops. You will also learn about the production of the best corn grain in the world; familiarize yourself with salt mines almost 3,000 m.a.s.l; and interact with friendly and hospitable people who will help you discover the infinite secrets of the valley. Where is the Sacred Valley? The sacred valley is located 15 kilometers outside Cusco. It runs between the towns of Písac and Ollantaytambo, in parallel to the Vilcanota-Urubamba river. The valley was very appreciated by the Incas, as it was produced the most wealth for the empire. If you visit the Sacred Valley today, you will notice that colonial and pre-Columbian art and culture are intermingled in the local communities, creating unique landscapes. Because the Sacred Valley is located in the Peruvian Andes, it is made up of a large number of rivers that descend into streams and smaller valleys. Additionally, because the fertility that comes with such a valley, numerous archeological sites and villages reside here. Therefore, it is no coincidence that the valley was highly valued by the Incas, with its special geographical and climatic qualities. Such qualities enabled the production of the best corn grain in Peru! Many of the villages in the valley have made their own names for themselves. Chinchero is home to talented textile producers and weavers; Písac has a beautiful crafts fair in the plaza; Urubamba is the largest town in the valley; Ollantaytambo has a very unique mountain fortress. And let’s not forget Maras Moray which boasts impressive salt mines and an agriculturl laboratory that resembles an avocado. The communities of the Sacred Valley have managed to generate a rural and experiential tourism industry that invites travelers to have a comfortable stay. Each town has its particularities and attractions, but it is all these regional towns that give the Sacred Valley its diversified character. How is the climate of the Sacred Valley? The climate of this region is very pleasant, as the valley is 2,800 m.a.s.l, 600 meters less than Cusco. The temperatures during the day oscillate between 19°C and 24°C, which is an ideal agricultural climate. It was because of these climatic characteristics that the Incas gave so much value to the Sacred Valley with regards to cultivation, experimentation and agricultural research. Because of these characteristics, this valley is also a good place for those travelers to acclimatize before starting their route through Cusco and Machu Picchu. Why is it called the “Sacred Valley”? On either side of the Vilcanota-Urubamba river lie large plates of crops that climb up to the slopes of the mountain range. It is from these slopes that you can see the andenerías (terraces of crops). The marvellous landscape is crowned with the peaks of Pitusiray, Sahuasiray, Verónica and Chicón – which all happen to be eternally snowed under. To top things off, all the ancient towns and ruins were strategically located within the valley. It is this combination of characteristics that makes the valley so sacred. As mentioned, the Sacred Valley was very important to the Incas because of its fertility. All kinds of crops were grown in this region, which is why you will also find ancient citadels and towns that still preserve the original architecture of the Incas. The first, and one of the most important, is Pisac. It is located in a rocky enclave and was the control center of the valley. To get there you must walk along paths that border precipices and tunnels built in rock. We recommend that you go with appropriate footwear and with lots of focus so that you can enjoy the scenery of this complex route. 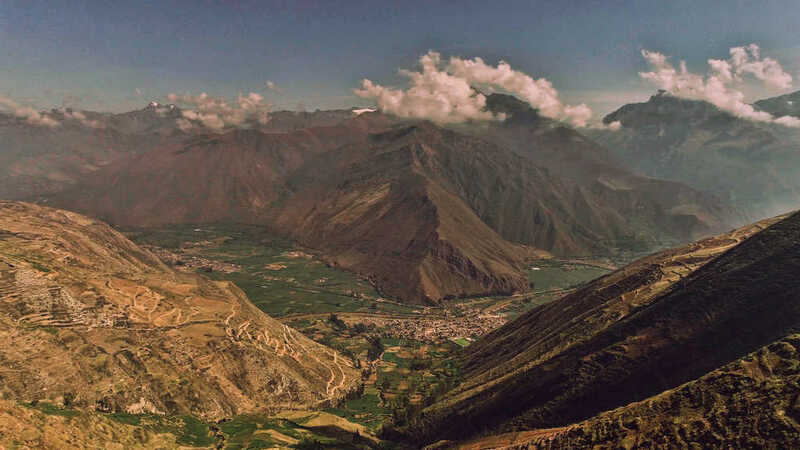 The historical importance of Pisac is that it was a defense fortress at the foot of the Eastern Andes. It was from here that access to Paucartambo and to the leafy yungas of the Peruvian Amazon was controlled. However, there is no accurate information about Písac having been fundamental in the defense of the Incas against the Spanish invasions. Here, you can also find one of the largest pre-Columbian cemeteries in the Americas, and an astronomical observatory. In addition, you can participate in the Quechua mass that is celebrated every week. Pisac is located 30 kilometers from Cusco, in the province of Calca, on the Vilcabamba mountain range. As was customary in Inca architecture, cities were shaped taking inspiration from animals. In the case of Pisac, its construction resembles a puna partridge. The city is divided into two sections, the lower part that very colonial (which is reflected in the style of buildings), and the upper part which contains an Inca archaeological site. This town boasts a historical significance. It was crucial in the defense of the Inca Empire during the Spanish invasion. It is also considered a brilliant example of urban planning. This is because it has a system of irrigation canals to prevent the overflooding of fields, and has houses built of adobe and straw. 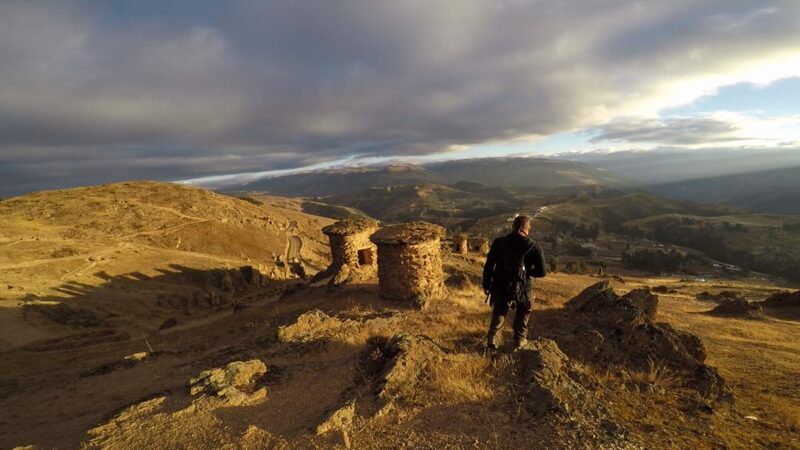 It also has a citadel in its highest point and boasts a temple built with megalithic stones brought from the other parts of the Sacred Valley. Ollantaytambo was one of the few places where the Incas successfully resisted the invasion of the Spanish. The town conserves the original architecture of the Incas at the base of its buildings. Its streets are made of stone and it is strategically placed within the valley. Close to Ollantaytambo is the “Puerta del Sol”, or Inti Punku, on the top of a mountain. It is only a short trek to reach this point, but you will be rewarded with spectacular views of the entire valley. The other option is to climb the mountain on horseback. From the Inti Punku you can appreciate the entire Sacred Valley in its splendor. There are no details about what the purpose of the site was meant for, but it is assumed that it was used for religious rituals and also served as a watchpoint due to its viewing of the entire valley – which is simply breathtaking. Within Ollantaytambo you can also visit the ruins of the citadel that is on the side of a mountain. These ruins were part of the ancient city and served as a fortress. Its construction is admirable since it is on the slope of the mountain and it is still almost all in intact. Meet the mysterious circles of Moray; visit the community of Maras, where salt was extracted for the empire; and be delighted by Chinchero and Qenko’s zigzag channels. Whilst at the latter, do not forget to look down because on the slopes you can observe how crops are cultivated on 45º mountain side. Its platforms are truly an admirable work of agricultural engineering. Maras is a very small town that is only an hour and a half west of Cusco. During the time of the Inca it was a very important site and was populated by those who lived in Cusco but had to leave the palaces during the time of the conquest. The main attraction of the town is more than 3,000 meters high and very close to it resides the salt mines! In this site you will discover a huge number of wells, from which salt is still extracted to market. The salt mines of Maras can be reached by foot or vehicle. It is made up of more than than 3000 small wells located in a very small area. This salt, in addition to sodium chloride, has other minerals such as calcium, iron, magnesium, zinc and copper. Chinchero is a small town located 30 kilometers from Cusco, and was declared a Historical Heritage of Peru in 1972. In Chinchero you will find an archaeological park of almost 35 thousand hectares. You can enjoy the best crafts of the region, learn about how fabrics are made in this small town of colonial streets. It is a place with a very important history and its people are friendly so we recommend you to visit this beautiful place. The Sacred Valley was one of the most important regions of the empire that extended from southern Colombia to central Chile and northern Argentina. Before going straight to Machu Picchu, relax and marvel at all the jewels that the Sacred Valley has to offer. We recommend that you enjoy the Sacred Valley of the Incas with depth and time. We have many suitable options for you, such as the 7×7 Cusco Tour, so you can venture to these incredible places. From the Sacred Valley you can go to the famous archaeological complex in multiple ways. One option is to go by bus and mini-van to Hydroelectrica, then walk alongside the tracks for two hours until you reach Aguascalientes. 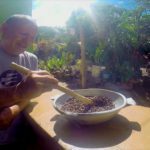 On the way you will meet Santa Teresa and Santa Maria, small cozy villages where you can walk around, participate in activities such as rafting or try local cuisine. You will also be able to appreciate unforgettable landscapes, especially during the walk to Aguascalientes where the path is covered by thick jungle vegetation. The other option is to take the train from Ollantaytambo to Aguascalientes. This is a more expensive alternative but it is much faster and is a good option if you want to rest before climbing up to Machu Picchu (from Aguascalientes). What is the “Boleto Touristico” in Cusco, and How Do You Use it? 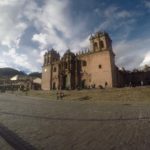 What to Do and Visit in Cusco in 4 Days? We understand that you trust us your time and that you expect to have a memorable service, therefore we will use all our experience to provide you: rest for those days of intense work, shelter from stress, new adventures and experiences that will record in your heart warm memories of your trip to Peru.